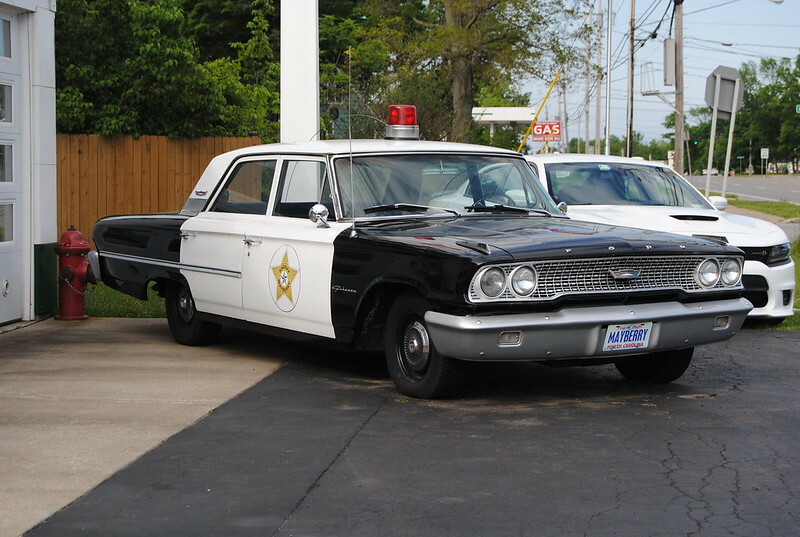 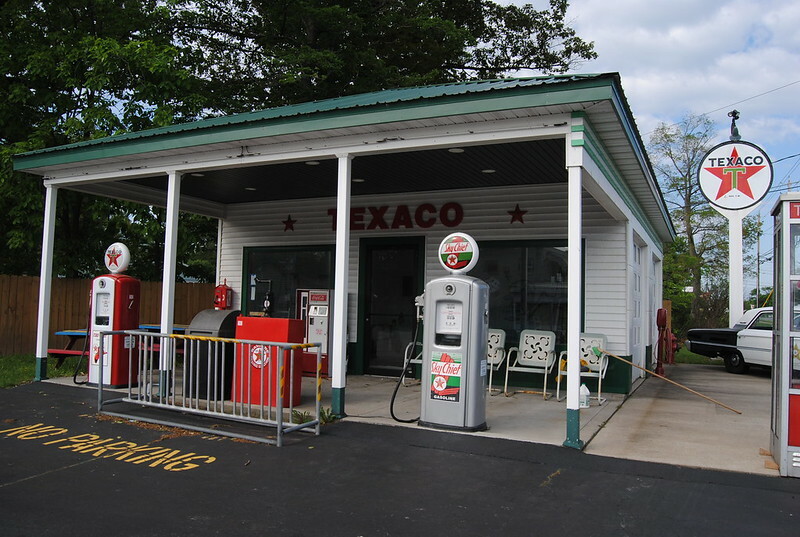 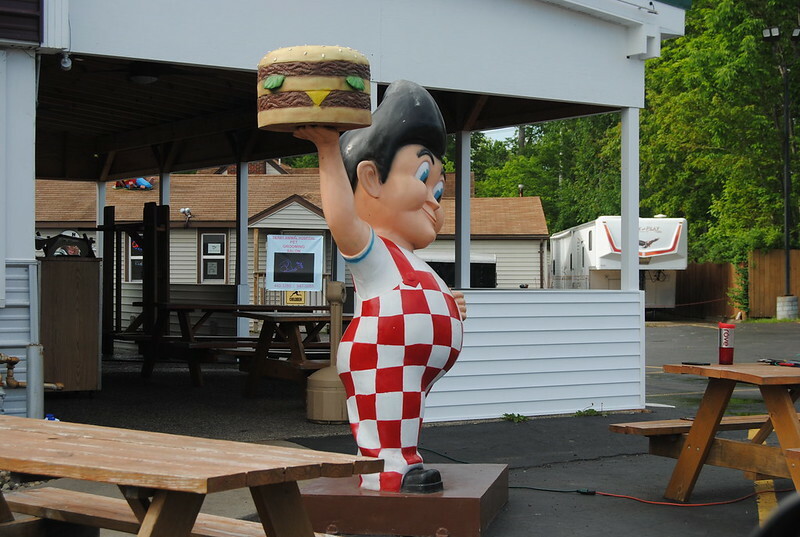 The Super Freeze Drive In, located in Derby, New York, has quite a collection of things around the restaurant. 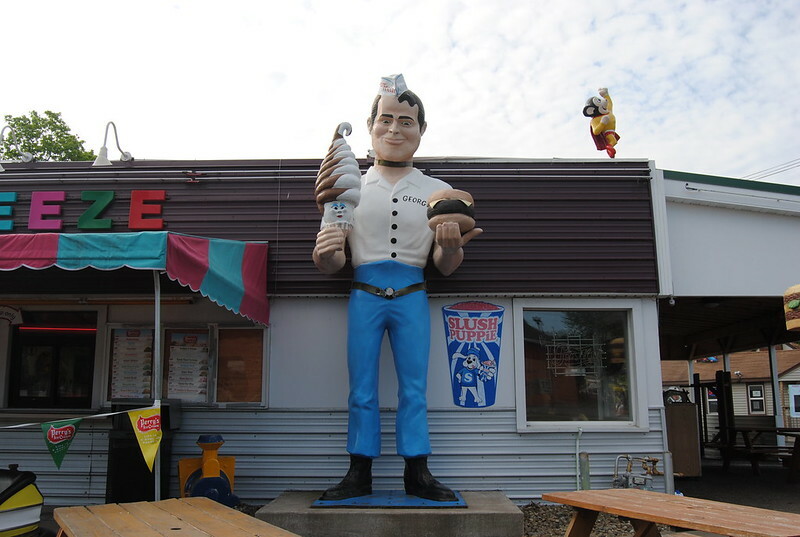 George, a 14-foot fiberglass statue, holds a burger and an ice cream cone. 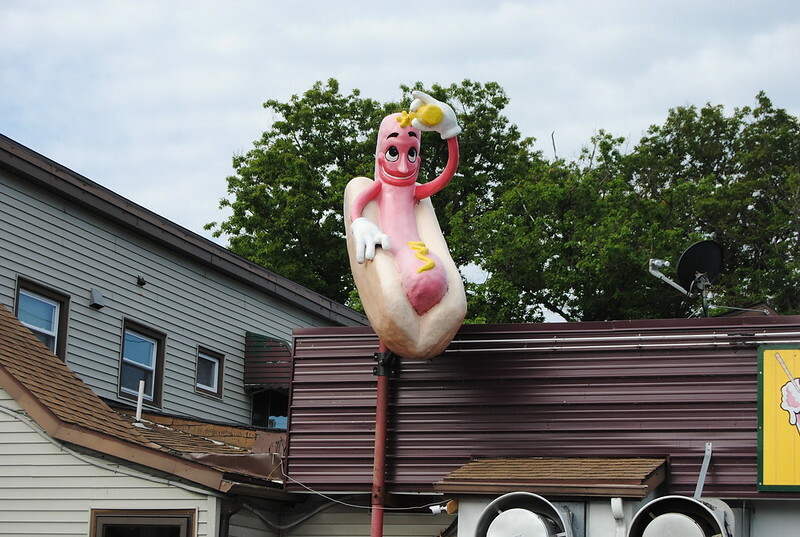 This disturbing hot dog is applying mustard to himself. 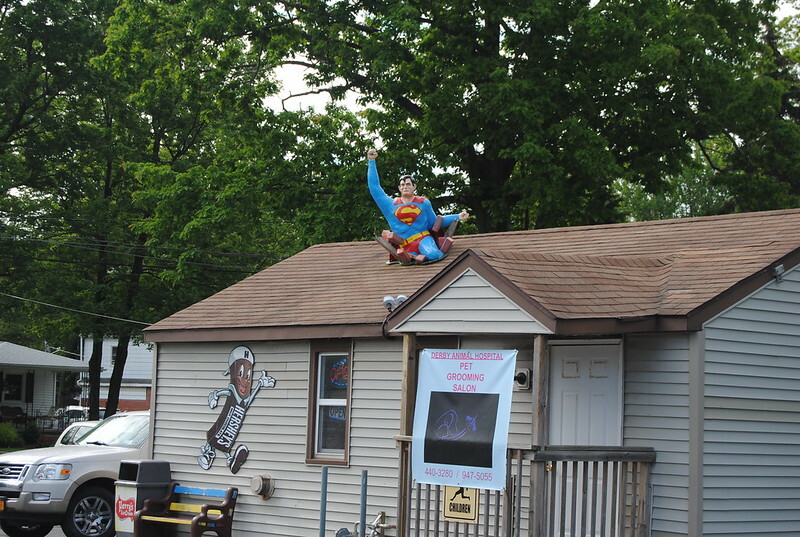 Superman coming out of the roof. 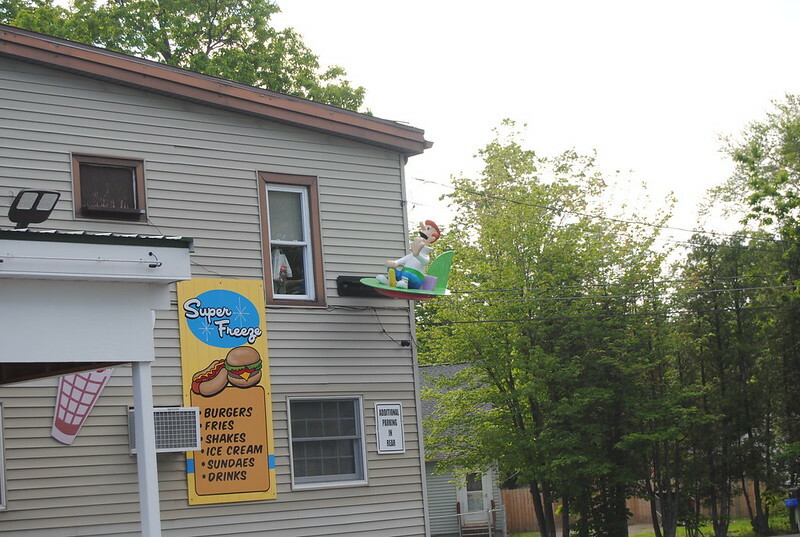 George Jetson flying by the building. 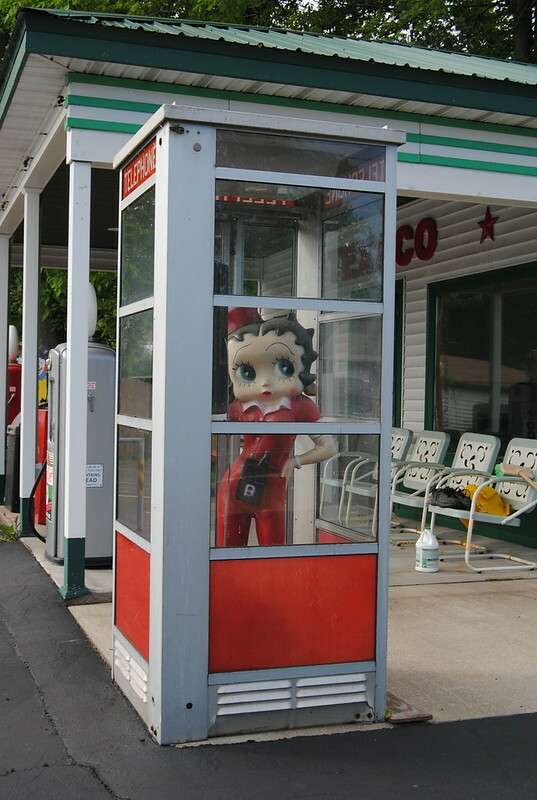 Betty Boop makes a phone call.